Plumbing 911 proudly services all Cuyahoga County, OH residential and business plumbing needs. As a family owned and operated business, our good name in your community means so much. That is why our family continues to operate our business to ensure the highest-level of customer care and quality workmanship meets our top standards. By calling us, your local family plumber, you will be supporting your community (Cuyahoga County, OH) as all city wages are properly accounted for. 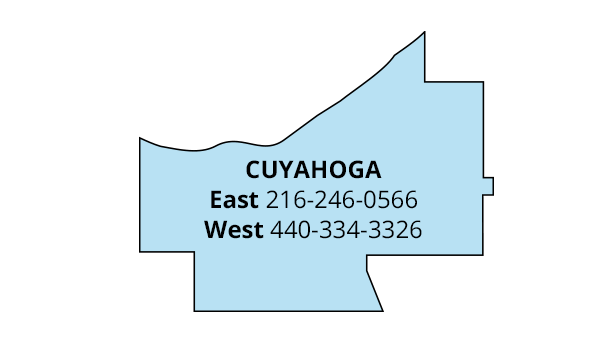 Cuyahoga County, OH is one of our premier counties in which we can service any plumbing need you may have. We work with Cuyahoga County, OH local inspectors and with Cuyahoga County, OH Building Department for when permits are needed for special plumbing projects. Plumbing 911 appreciates your patronage and continued business, as we are one of the fasted-growing plumbing companies in Northeast Ohio. Our success speaks volumes of how our business is reliable, trustworthy and committed to offering you the best plumbing services for Cuyahoga County, OH.